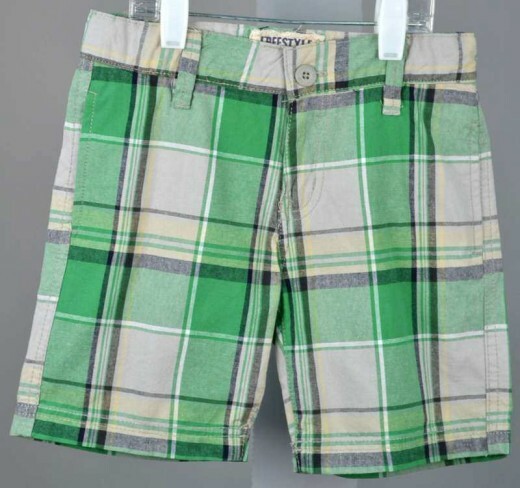 These Better Brand trendy fashion kelly green and khaki plaid golf shorts are 100% cotton and feature a Low Rise cut with an adjustable waistband for fit. From Freestyle Revolution. Freestyle Revolution is known for hip styles and classic quality. Runs True to size. Machine wash. Import. See the white polo shirt and newsboy caps in related items below.